Due Diligence is the research and analysis of a piece of property that is performed by the prospective buyer with the assistance of their realtor before a final buying decision is made. It is common for the property to be under contract while the due diligence is being performed. The buyer and seller must agree to a predetermined amount of time for the due diligence. At the end of the due diligence period the buyer must make a decision to complete the purchase or terminate the contract. Whether you are going to buy raw land to build on, land with a building to be torn down to build new, or an existing home that you will remodel or add on to performing due diligence will allow you to clearly establish that this property will fit your plans and your goals. Some of the more important information you will gather during due diligence you will use to make your final decision. You will dig up information on topics like Homeowner Association bylaws and covenants, municipal codes and possible zoning laws that might restrict what you will be able to build or remodel. Depending on your particular situation there may be any number of valuable discoveries you might make. For that reason we are going to include two different due diligence checklists here of valuable questions you might ask to acquire the information you need to complete your due diligence. These due diligence checklists contain common questions but are not intended to be considered the only questions to ask. You must assess your individual needs and establish your own questions for your due diligence checklist. Why is the property being sold? 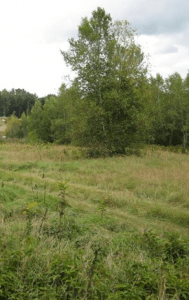 Are there soil test or survey records of the site and will they be part of the sale? Are there survey pins on the site? What service utilities are currently on the site and is the seller aware of any fees to obtain services? Are there any known underground pipes run on the property? How are the marked? Are there rights of way running through the property? Are there any mineral rights that go with the property? Describe any known water sources under or through the property such as springs or creeks? Does the property require flood insurance? What are the details of the closest fire and police protection to the site? Are there plans for any major road or freeway development near the site that seller is aware of? Are there homeowner assessments? Describe the homeowner assessments for the past 10 years? Does the property fall under any historical committees or building jurisdiction? Does the property qualify for any TIF (Tax Increment Financing) or other tax incentive districts? Have there been any issues with neighbors or their pets? In continuing with the collection of your due diligence information your next area to explore will be an actual site visit and the due diligence of information collected there. When you meet with your architect or designer as well as your builder for the first site visit there are many issues to cover. Before making this trip you will want to have ready information pertaining to setbacks and construction height restrictions. 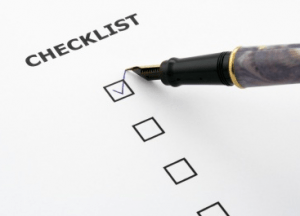 Once again we recommend you use this list to create your own due diligence checklist for site evaluation. Which part of the property faces north? This will determine where winter weather will be most affected as well as determine how all other directions will effect home placement. Will any windows line up with close neighbors windows? Where will the driveway enter from the street and how will it approach the home? What trees or shrubs will be saved during construction? Are there any visible drainage issues or can you clearly see how rain water exits the property? Does your cell phone have good service on the property? Can you get cable, internet, or satellite service to the site? Are there any rights of ways on the property that will restrict site development? Are there utility poles or lines on the property? Are there underground pipes clearly marked on the site? Armed with the due diligence information you have collect you should be able to make a final decision whether to proceed with final purchase of this property for your building project.